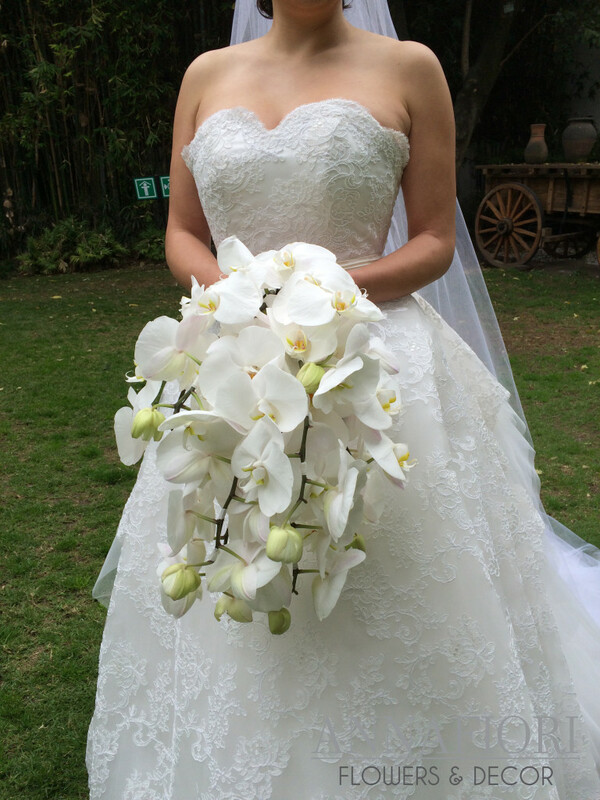 Annafiori, Event Decoration Company in Mexico . 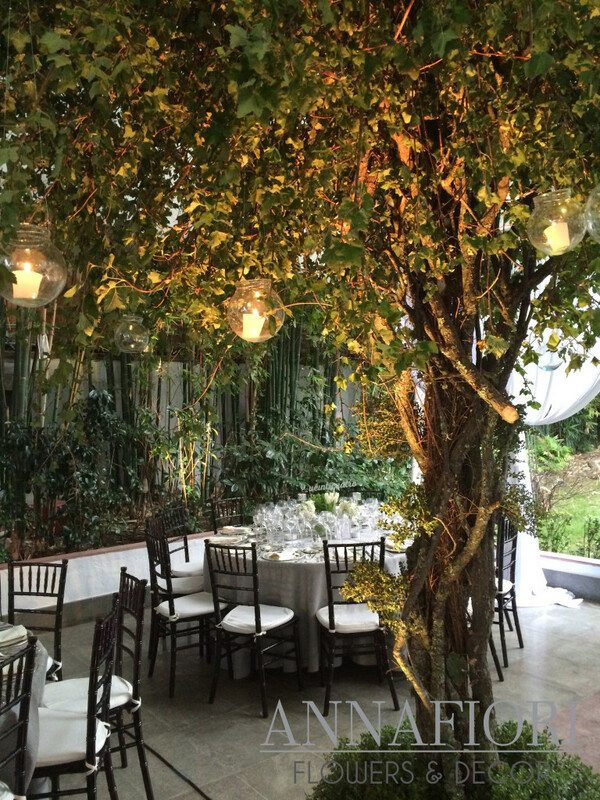 One of the most amazing, natural and elegant wedding trend for 2016is the foliage & greenery wedding trend. You can´t go wrong with this beautiful and and sophisticated look. the forest. Enhancing the effect created by the trees was a beautiful frame for the bride and groom table made of branches and decorated with folliage . The centerpieces were designed with different foliage and greenery with a touch of white flowers, the effect was exquisite. We gave all the green designs an elegant twist by using silver candleholders in different shapes for the tables and white drapery along two aísles of the venue that separated the banquet from the garden.